Cupertino has updated its line of MacBook Pro with Retina display computers, adding faster versions of Intel’s Haswell processors and increasing the standard RAM included with the machines. Now, all 13-inch models come with at least 8GB of RAM, while all 15-inch MacBook Pro with Retina display computers ship with a minimum 16GB of RAM. The least expensive Retina-equipped MacBook Pro includes 128GB of flash storage, however higher-priced models include as much as 512GB. 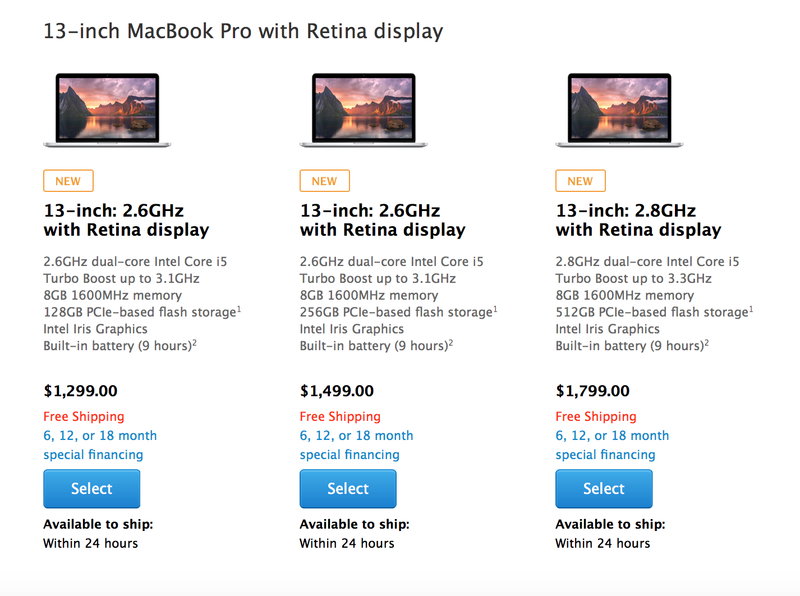 Prices for the 13-inch MacBook Pro with Retina display start at $1,299, and customers can add-on faster processors and more RAM at checkout. The 15-inch model, on the other hand, starts at $1,999, and all of Apple’s revamped MacBook Pros are available to ship within 24 hours. Despite previous reports claiming that the non-Retina MacBook Pro was facing extinction, this model is still available from Apple and it currently retails for $1,099. 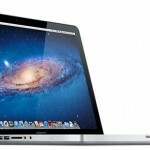 For more information on the new products, call by Apple’s MacBook Pro Web page on the Apple Online Store. See also: AppAdvice International: China’s ‘iPhone 6’ preorders, a new store in Wuxi, Foursquare updates Swarm with check-in improvements and interface tweaks, and Apple is no longer seeking a permanent injunction in Samsung lawsuit.